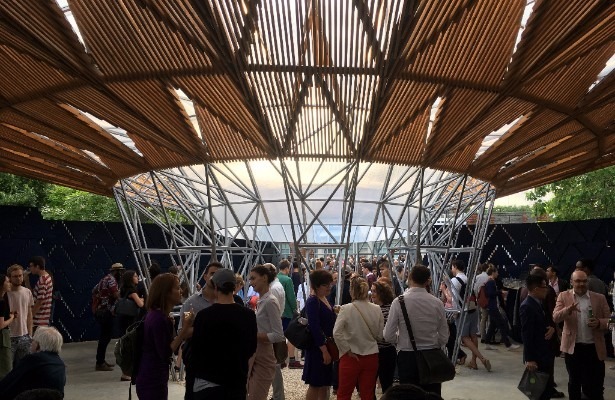 At 1pm on Wednesday 23rd March Build Up will be taking over Diébédo Francis Kéré’s Serpentine Pavilion’s. Join us and Lollard Street Adventure Playground to hear our story so far. We’ll be doing a short talk, showing off our latest structures and then Lollard Street’s young people will share their experiences in a question and answer session. If anyone gets hungry, social enterprise Mazi Mas will be selling delicious food from their pop-up restaurant. The event takes place at 1pm on Wednesday 23rd August. The Serpentine Pavillion is located in the grounds of the Serpentine Gallery, Hyde Park. Nearest tube: South Kensington / Knightsbridge / Lancaster Gate. Part of the Serpentine Pavilion’s Radical Kitchen programme. Confident, skilled and resilient young people leading construction projects in their local community.